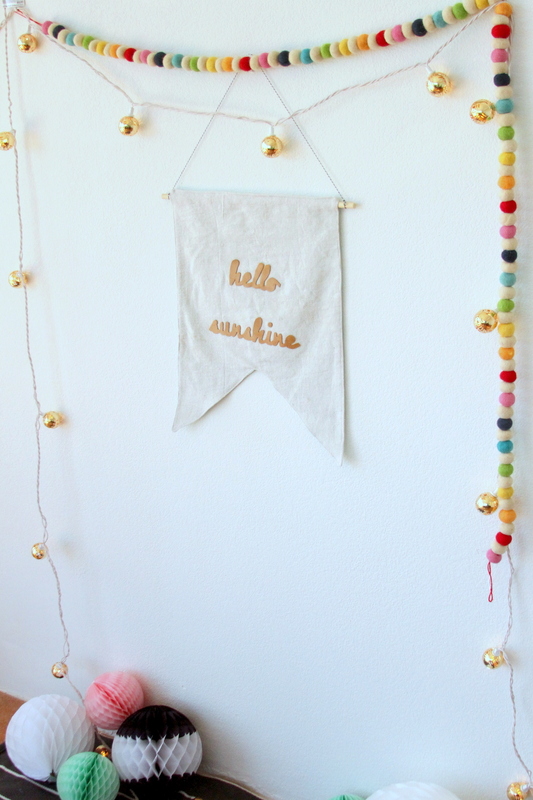 This is one of my favorite projects from Bohden’s little nursery nook. 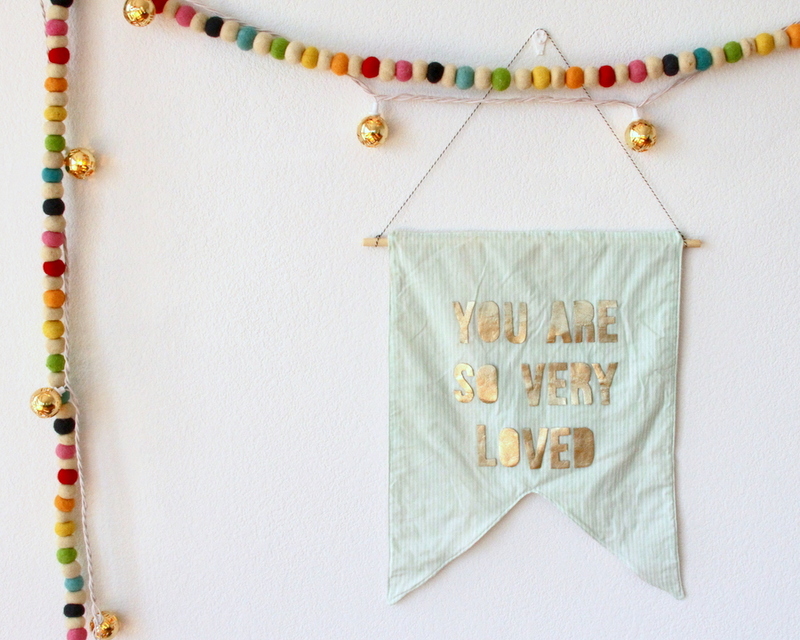 I shared it at Skip To My Lou awhile back as a handmade Christmas gift, and then promptly decided to keep it and hang it in the then-foster-nursery-turned-Bohden-nook. 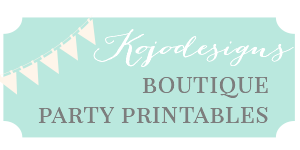 It’s so easy to customize, works great in a nursery, and also makes a great present. Win-win-win. I thought I’d share it here as well! To make one, first cut out two flags. My finished flag is ten inches wide and 14 inches tall, but you can make whatever size you prefer. After both flags are cut, stack them, right sides facing in. 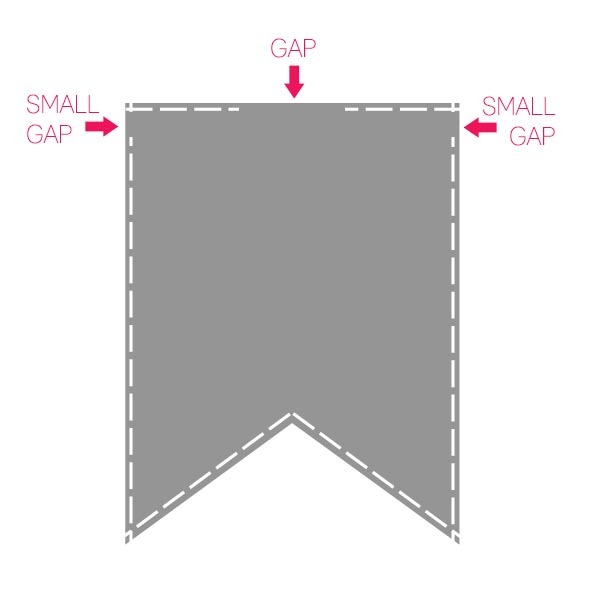 Sew around the perimeter, leaving gaps in three places- two small gaps that will allow for a wooden dowel hanger and one gap along the top seam for turning the flag right side in. After turning the flag right side in, press and top stitch around the entire perimeter, leaving the two small side gaps open. 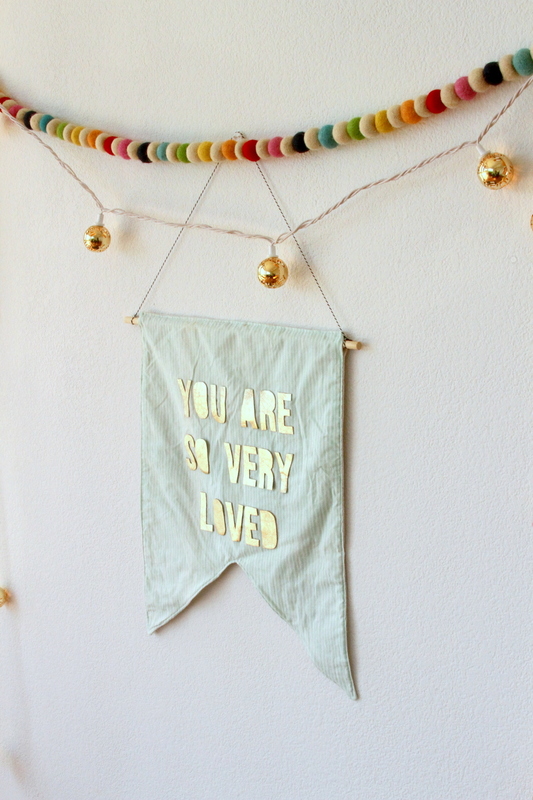 Print out your messages (I chose “You Are So Very Loved,” and “hello sunshine,” cut out letters, tape backwards to the back of a piece of leather and trace. 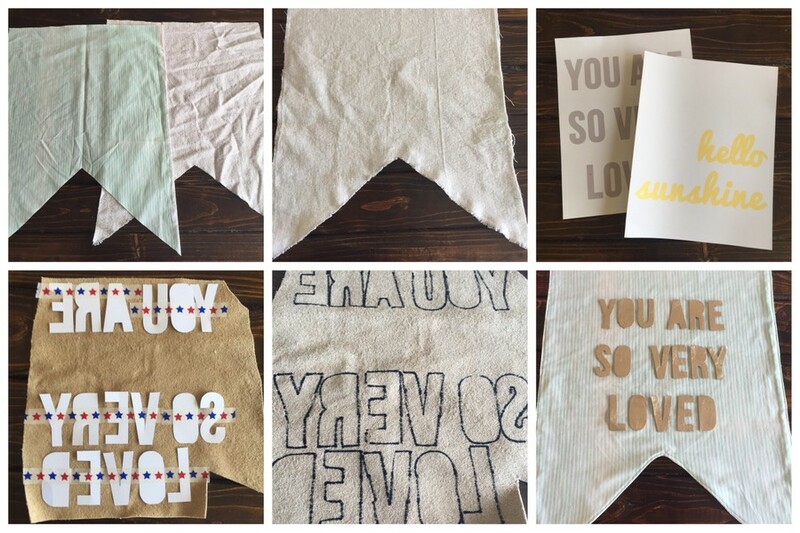 Cut out leather letters and glue to flag with fabric adhesive. 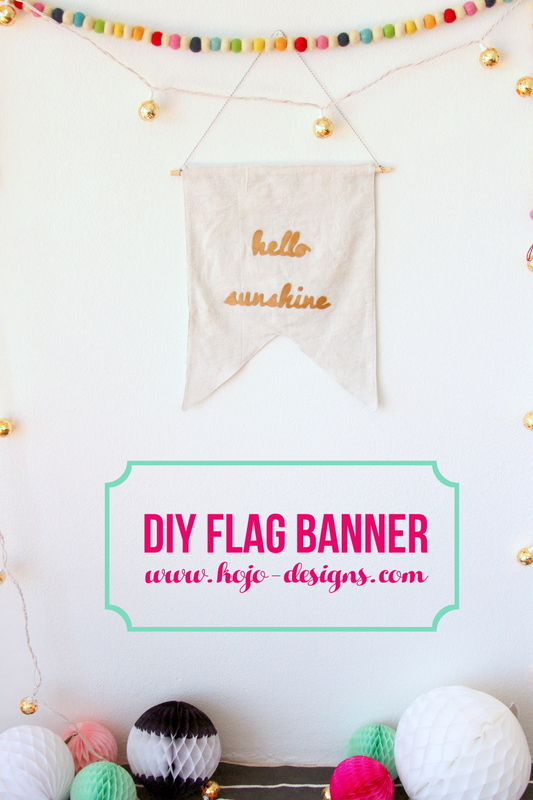 Thread a dowel through the flag, add a twine hanger and done! 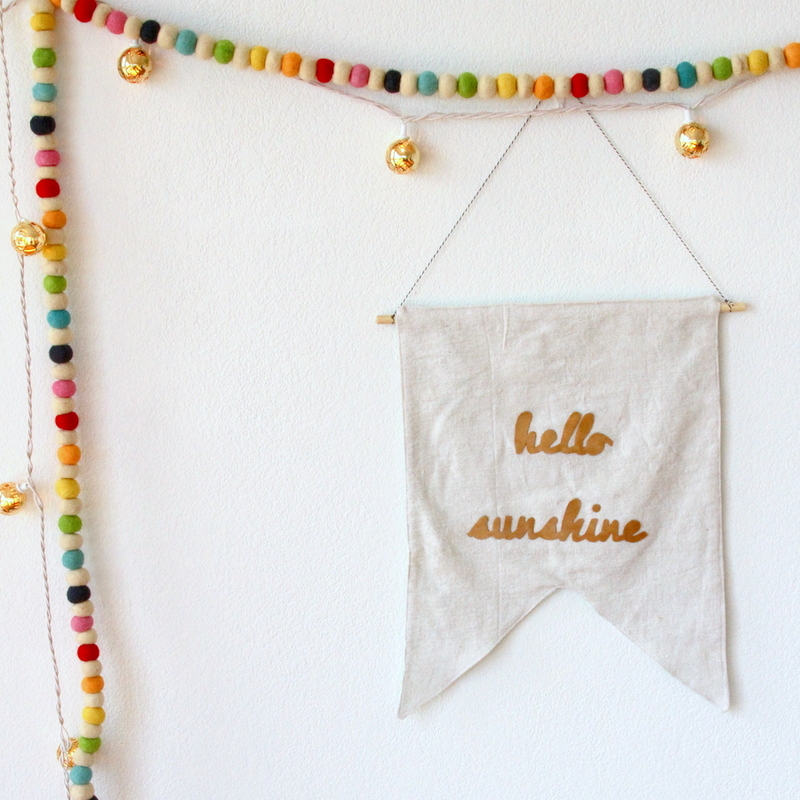 Easy to make, so cute as nursery decor, super fun as a handmade gift!